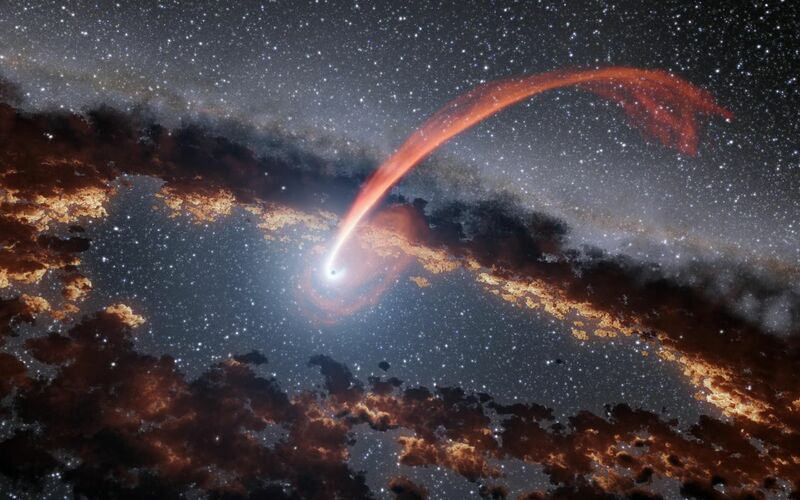 This illustration shows a glowing stream of material from a star as it is being devoured by a supermassive black hole in a tidal disruption flare. When a star passes within a certain distance of a black hole -- close enough to be gravitationally disrupted -- the stellar material gets stretched and compressed as it falls into the black hole. In the process of being accreted, the gas heats up and creates a lot of optical and ultraviolet light, which destroys nearby dust but merely heats dust further out. The farther dust that is heated emits a large amount of infrared light. In recent years, a few dozen such flares have been discovered, but they are not well understood. 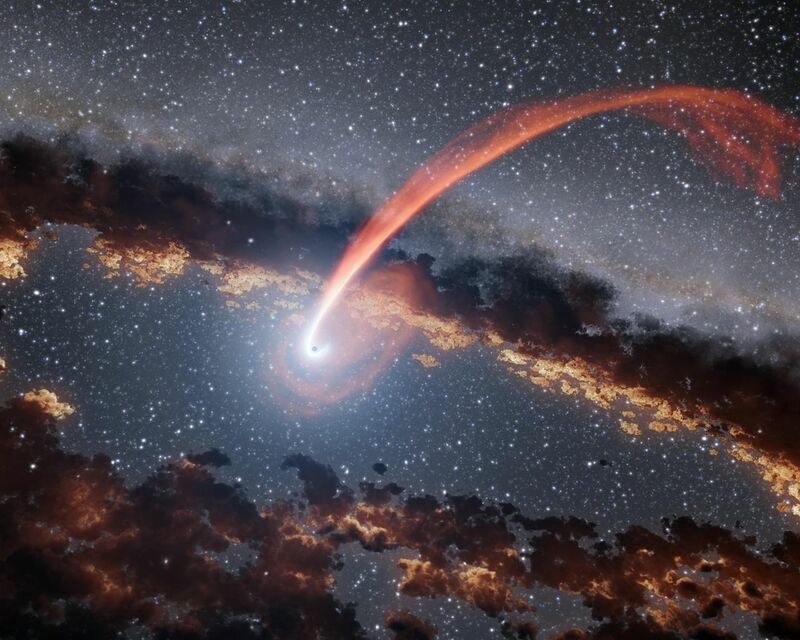 Astronomers gained new insights into tidal disruption flares thanks to data from NASA's Wide-field Infrared Survey Explorer (WISE). Studies using WISE data characterized tidal disruption flares by studying how surrounding dust absorbs and re-emits their light, like echoes. This approach allowed scientists to measure the energy of flares from stellar tidal disruption events more precisely than ever before.